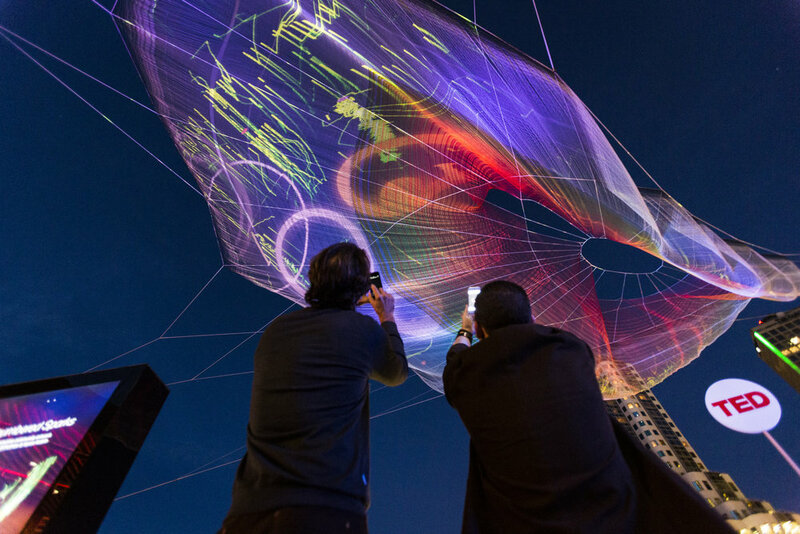 Studio Echelman installed its largest, most interactive sculpture installation to date at the TED Conference’s 30th anniversary, March 2014. 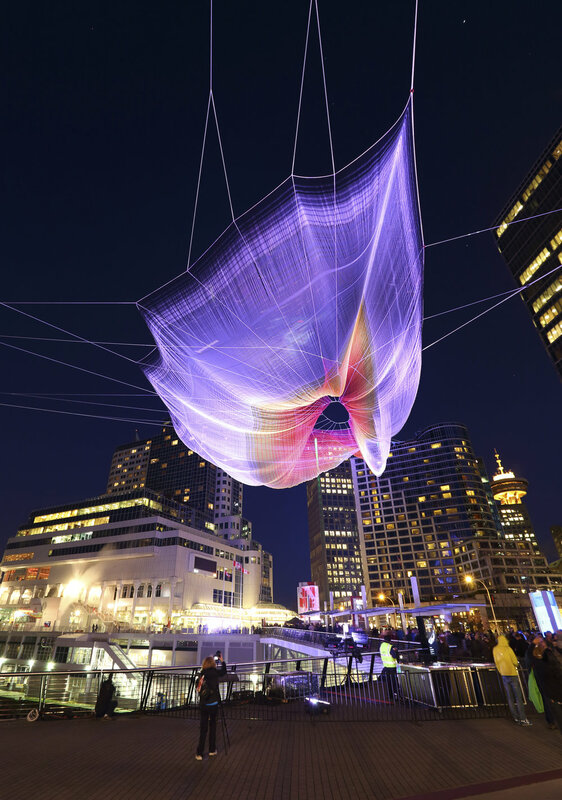 The monumental aerial sculpture spanned 745 feet between the 24-story Fairmont Waterfront and the Vancouver Convention Center, challenging the artist to work on her most ambitious scale yet - over twice the size of her largest previous sculpture. 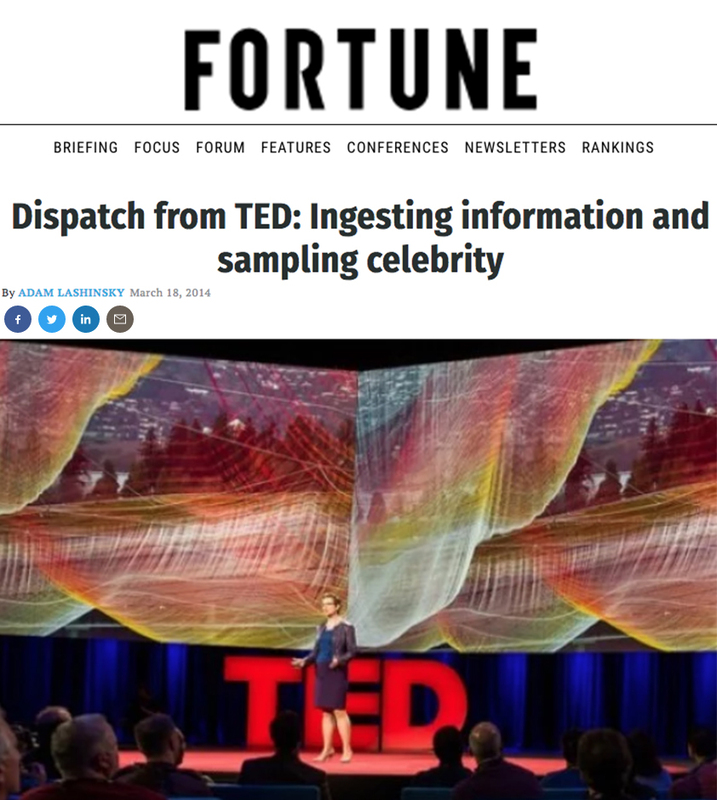 The sculpture was presented with an original, interactive work created in collaboration with artist Aaron Koblin, Creative Director of the Data Arts Team in Google's Creative Lab. At night the sculpture came to life as visitors were able to choreograph the lighting in real time using physical gestures on their mobile devices. Vivid beams of light were projected across a massive scale as the result of small movements on spectators’ phones. 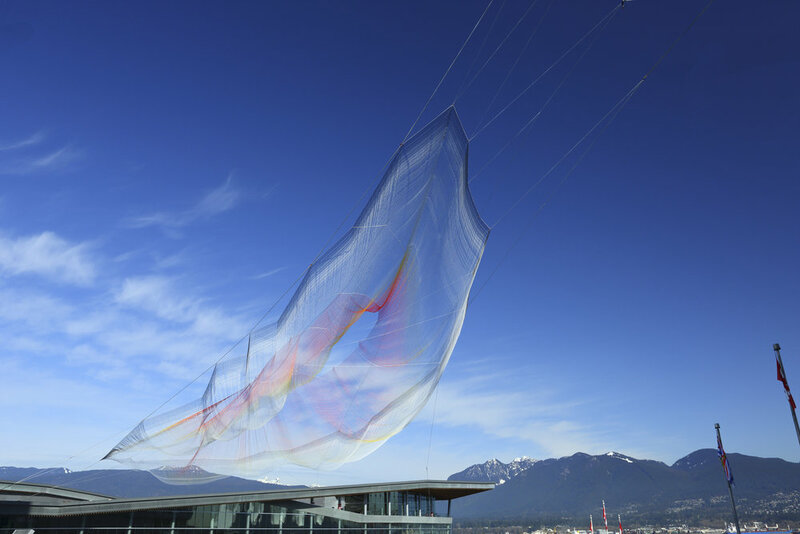 In the daytime, the sculpture’s delicate yet monumental form is subtle, blending in with clouds and sky. 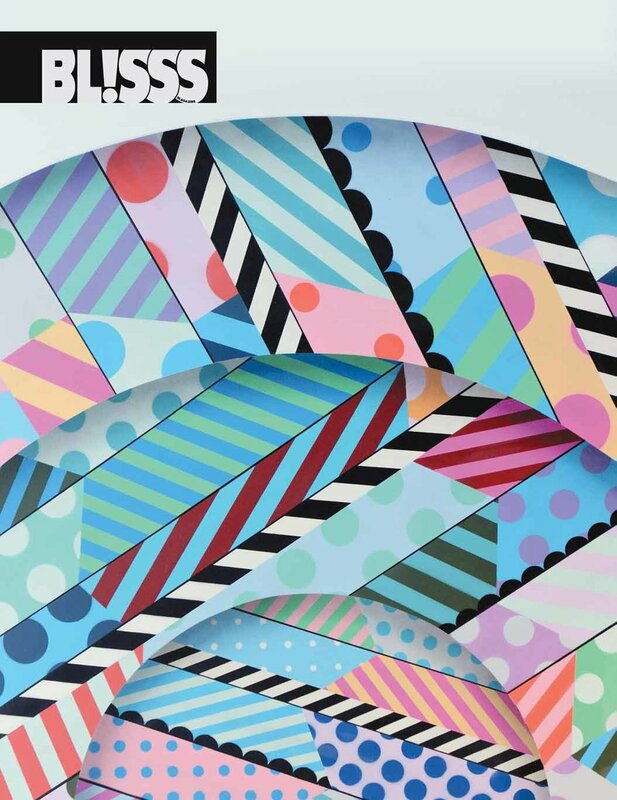 A complex matrix of 860,000 hand and machine-made knots and 145 miles of braided fiber weighing nearly 3,500 pounds span 745 feet to make up Skies Painted with Unnumbered Sparks. The title of the sculpture, ‘Skies Painted with Unnumbered Sparks’, refers to a quotation from Shakespeare’s ‘Julius Caesar’. 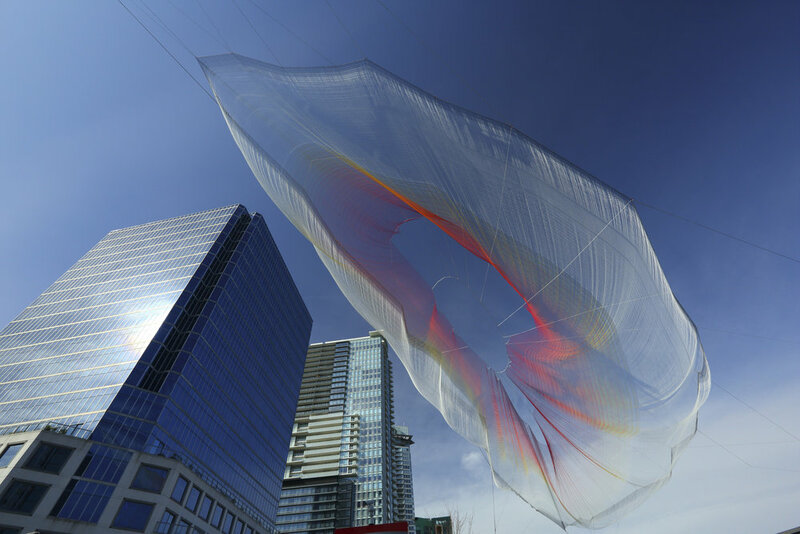 Through the interactive lighting component, each person can choreograph light onto the artwork and "it’s about each one of us being one of those stars – those sparks – and being able to paint the skies,” says Echelman.